Add a soft boiled egg or scrambled egg to your dog’s bowl every now and then. If you have a small breed dog then half an egg is probably enough. Eggs are a great source of digestible protein and are chock full of vitamins and minerals. Another tasty nutritious addition for your dog. Not only does many dogs love cooked fish but it is also an excellent source of Omega 3 fatty acids EPA and DHA which are great for your dog’s skin and coat. Plus they help regulate the immune system and reduce inflammation. Omega 3’s anti-inflammatory properties can be especially useful for dogs with allergies, arthritis or sensitive stomachs. A great addition to kibble. A natural source of probiotics, yogurt aids digestion and is another affordable option to spice up your dog’s kibble diet. Although yogurt is low in lactose, some dogs might not be able to digest it properly and develop excessive gas and diarrhoe. Your dog doesn’t need ‘5 a day’ but still benefit from a few fruits and veggies. Berries, especially blueberries or blackberries are packed with antioxidants as are green leafy vegetables, broccoli, green beans and peas. If you enjoy a healthy home prepared diet then feel free to add a little to your dog’s bowl. This could include meat that has had the fat trimmed off, potatoes and vegetables, a little plain pasta (before you add the sauce) or rice. Keep it simple. Unless your dog has an iron gut a variety of foods might set of GI trouble or allergies. Start with foods that are similar to what is in his dog food (i.e., chicken or potato) and branch out from there. Did you know that 45% of the pets in the United Kingdom are overweight? What’s even more concerning is that overweight dog are at higher risk for medical problems like arthritis, heart disease, skeletal problems and don’t live as long as their trim counterparts? Dogs should be fed to maintain a perfect Body Condition Score (BCS) of 4-5. These dogs have an hourglass waistline when looking from above. You should be able to quite easily feel the ribs but not see them. Now look at your dog from the side. He should have an obvious abdominal tuck. Dogs that do not fit this description are too thin or too heavy. If you dog progress to a BCS equal to 6 or above, then it is time to take action! Forget circuit training, weight lifting or spinning classes – the biggest fitness craze for 2018 is working out with your dog. And it’s not just long country walks. 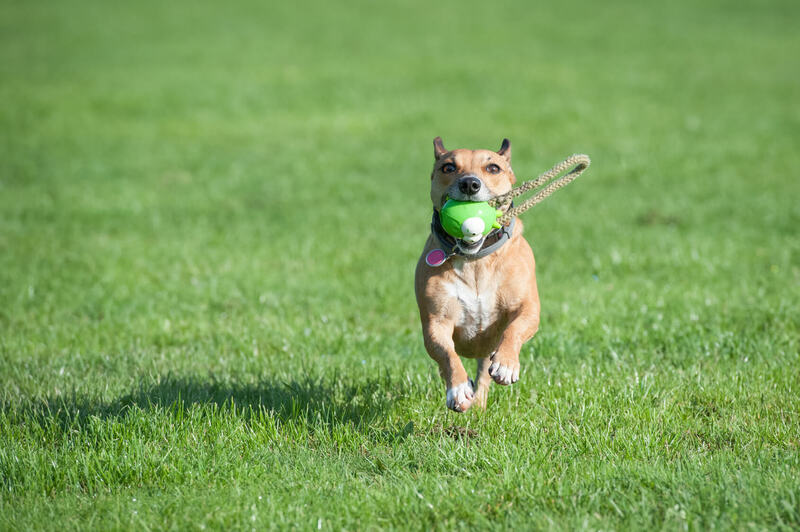 Working out with your pet can involve doing sprints, doggy yoga and jogging, to even doing moves such as squat and throw, there are tonnes of ways you can get fit with the help of your furry companion. I’ve had clients inventing circuits for them and their dog to enjoy together. Exercising with pets is also a great way to make it a little more fun for both you and your dog. If you have a healthy dog that’s full of energy anything is possible. However, it is possible to over-exercise your dog so always be cautious. If they are a little older or slightly over-weight their abilities won’t be as strong as a dog that is healthy and full of energy. Always consult your vet first if you are unsure about how much exercise your dog needs. What are antioxidants, and are they good for dogs too?